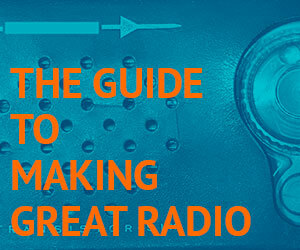 Writing for radio is different than writing for print. You’re writing for the ear, not the eye. Listeners have to get it the first time around- they can’t go back and hear it again (unlike re-reading a sentence in a magazine). And while a reader may get up and come back to an article, a radio listener who gets up may not come back. So you want to grab their attention and hold onto it for as long as possible. Writing feature stories like the ones aired on B-Side is also different than writing news copy. You can loosen up a little. You can be more literary, more creative, more personal. This handout is a quick guide to writing a script for a feature radio story. After you’ve logged your tape, you should select the tracks you want to use (tracks are also called cuts, soundbites, or actualities). Cuts generally shouldn’t be longer than 30 seconds- you only have a few minutes and besides, most radio listeners have short attention spans. (If you have a great long cut, you can break it up with your narration or edit it down). Don’t just choose cuts purely based on what’s said- also consider how it’s said. Think about how your cuts will fit into your story structure- do they describe something, tell a story, make you laugh, make you scratch your head? Your actualities should advance the story and make it interesting. As you start writing your script, you probably already have a good idea what your story’s going to sound like. You’ve listened to all the clips and ambiance, maybe selected some music. You may have talked about the story with a friend or editor. Basically, you already have all the elements floating around in your head. Start writing your script by laying out all your cuts in the order you think you’re going to use them. Then start writing your narration around them. The place to start is usually the “anchor intro”- this is what the announcer/host will say to introduce your story. An anchor intro quickly sets up your story and puts it in context, without giving away too much. It should also introduce you, the reporter/producer. As you write your narration, try to tell a story with a beginning, middle, and end. Draw listeners into the story by setting a scene, raising a question, playing a weird noise, or introducing a character. Use narrative elements like foreshadowing, suspense, and scene changes to move the story along. Use tracks of varying length. A series of 20-second acts interspersed with 10-second tracks will get pretty monotonous. And when you wrap up your story, don’t end with an actuality or just a sign off. You should get the last word, even if it’s just a short sentence. Be conversational. Your narration should sound as natural as possible, like you’re telling a story to a friend. This is not the same as trying to imitate spontaneous speech. Instead, this means writing in a style that sounds as relaxed as possible. Use phrases and words you normally use. When you read your narration aloud, do you sound like yourself? Be visual. Give your listeners a chance to imagine the people, places and things in your story. Create a sense of scene; describe people; include interesting sounds. Avoid a story that’s just a series of talking heads or facts. Be concise. Long sentences loaded with ten-cent words and relative clauses usually don’t work too well in radio (but there are exceptions). Mix up your sentence structure. It’s surprisingly easy to fill 3 or 4 minutes of airtime- so don’t overwrite. Be energetic. Use the active voice. Use punchy verbs and contractions. Mind your tenses – don’t switch back and forth between past and present. Most radio stories are done in present tense. Some exceptions include commentaries, and news stories about past events. Be experimental. For variety, stick in a tape-to-tape cut (one actuality leading straight into another without narration in between). Mix acts and tracks. For example, if someone is droning on and on, you can play them under your narration- this will convey a sense of them rambling. Even the most straightforward story can have an unusual or memorable element in it. Be thoughtful. Try to go beyond just presenting the facts. Let your listeners know why your story matters. Is there a lesson to be learned, something to be taken away? You don’t have to get too heavy or cerebral- just take it a step or two beyond pure description. – Nancy Smith, who is the founder and CEO of the Acme Corporation, says the widget market is booming. – Acme Corporation founder and CEO Nancy Smith says the widget market is booming. – Nancy Smith is the founder and CEO of the Acme Corporation. She says the widget market is booming. Nancy Smith gets lost in the first one. The next two sentences express the same idea without losing track of who’s being talked about or who she is. Write transitions in and out of your actualities. You don’t have to be obvious, but acts shouldn’t seem abrupt or forced. If you give someone’s name three sentences before you play their clip, you should mention their name again before they start talking. This will remind listeners who’s about to talk. Likewise, don’t follow an actuality from one person by naming another person. This can make it sound like Person #2 just said Person #1’s actuality. o You don’t have to write in complete sentences. You can also break up sentences for emphasis. Label each actuality “ACT”. Note who’s talking and how long it is. Actualities are usually distinguished from narration with boldface, italics, capitalization, indentation, or some combination of these. Label each track of your narration “TRX” or “TRK”. Note how long it takes for you to read it. o Use parentheses or brackets to note when ambience (labeled “AMB” or “AMBI”) or music is playing. The more specifics about how this sound will be used, the better. This will help your editor and will remind you what to do when you’re mixing the final version. Give the phonetic spelling of hard-to-pronounce words and names in parentheses after the name. Write out numbers and abbreviations – it will slow your read down if you have to figure out how to say 1,459 when you could read “one thousand, four hundred and fifty nine” Not that you should use such a specific number in your story-use approximate numbers. Note the estimated length of the entire story (without the anchor intro) at the top of the script. A rough rule of thumb to use: one page of single-spaced script usually corresponds to a minute and a half to two minutes of produced tape. Click here to see a sample script.